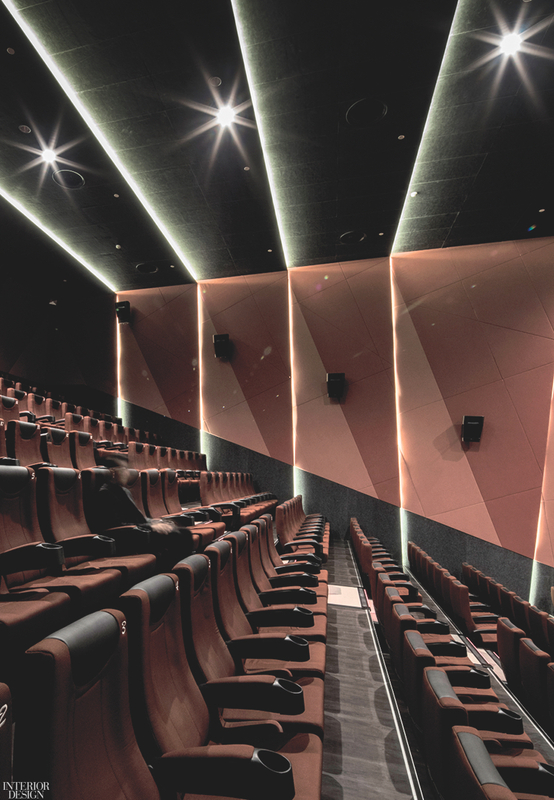 For the Palace Cinema Raffles City Changning, a 70,000-square-foot movie house in Shanghai, 4n Design Architects referenced two sources: the script booklet and the flipbook. The former outlines a plot, while the latter creates a simple animation. 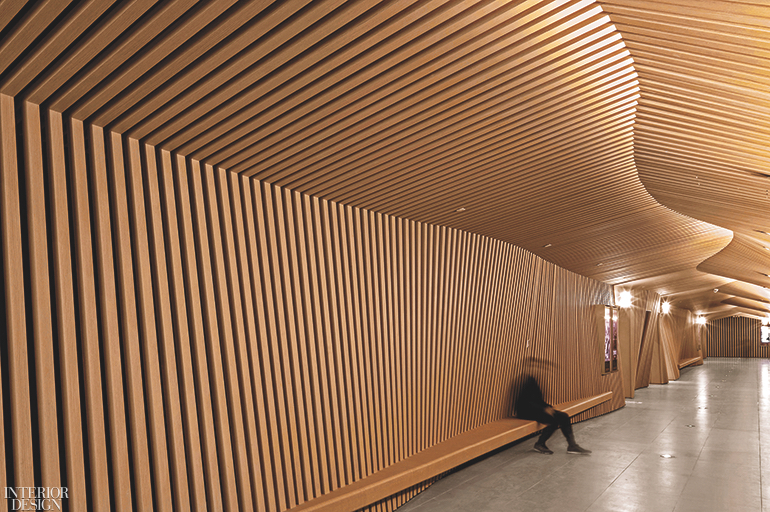 The firm’s resulting interpretation is a through-line intervention of hundreds of pale faux-timber slats cladding the site’s walls—from the entry and the concession area to the corridor “tunnel” leading to the project’s eight theaters—the fins yielding a rhythmic repetition and an organic backdrop. Inside the theaters, the scene is more dramatic, with acoustic paneling and seat upholstery in black, gray, and red tones. 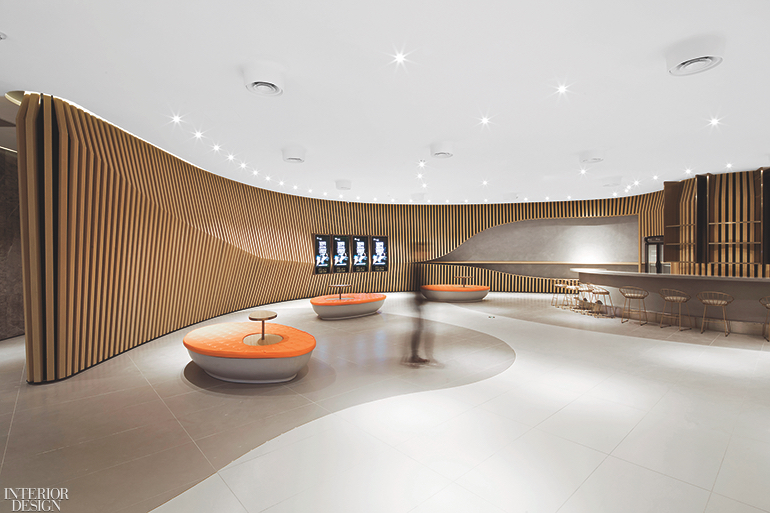 At Shanghai’s Palace Cinema Raffles City Changning by 4n Design Architects, custom ottomans stand on large-format ceramic tile. Photography by James Goldman/Hollywood Studio. A theater’s LED strips. Photography by James Goldman/Hollywood Studio. 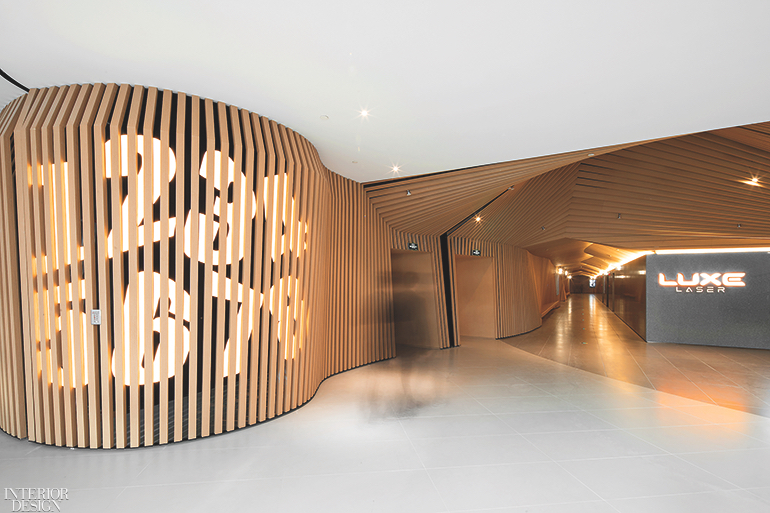 Fins and a built-in bench of aluminum clad in faux timber. Photography by James Goldman/Hollywood Studio. Theater signage. Photography by James Goldman/Hollywood Studio.